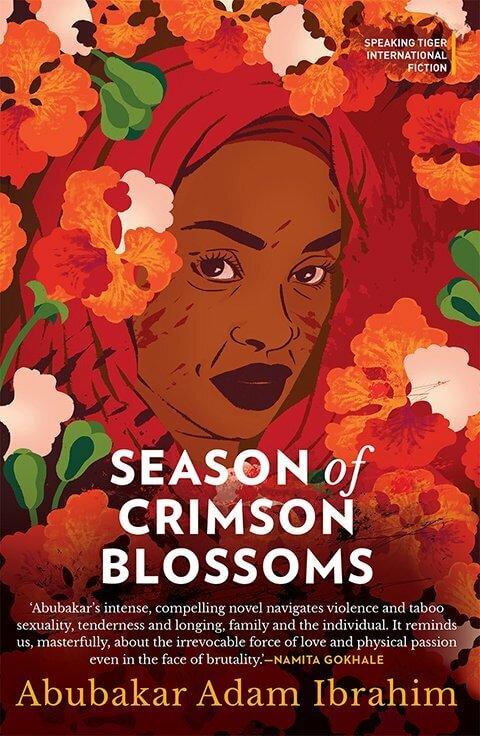 Abubakar Adam Ibrahim’s Season of Crimson Blossoms is a sensitive, empathetic – and, ultimately – tragic novel, set in the outskirts of Abuja (and sometimes transitioning to the conflict-torn city of Jos). Binta Zubairu, the novel’s protagonist, is a fifty-five-year-old widowed grandmother, survivor of a loveless marriage and the violent loss of her oldest child, and long reconciled to a cloistered existence and a slow exit from the world. All that changes when Hassan Reza, the local gang-leader and drug-dealer, jumps the fence intending to rob her, but falls in love with her instead. Through the course of their transgressive relationship, always teetering on the edge and threatening to come undone, either through the public discovery of Binta’s defiance of social norms or through Hassan’s one-brush-too-many with the law, Ibrahim brilliantly depicts both the suffocating, one-sided sexual repression that corrodes a conservative society, and its inevitable flip side – political violence. This is immediately followed by memories of blood and violence (recollecting the murder of her son), as though to give way to lyricism is almost to insult the reality of the world (“What poetry after Auschwitz?”). In the riven worlds of Abuja and Jos, where even bare life cannot be taken for granted, love is not – and cannot be – an exception. 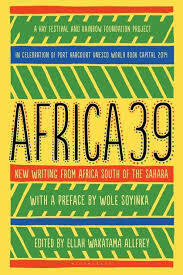 Other reviews: The Guardian; The African Writer. 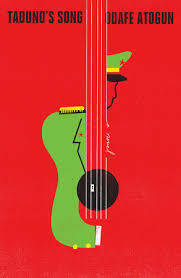 The austere, pared-back prose and imagery of Taduno’s Song, with its small cast of characters, its refusal to identify its setting in any concrete manner, and its grimly linear trajectory, is reminiscent of Kossi Efoui’s The Shadow of Things to Come, another “dictator novel” from nearby Togo. The novel’s minimalism sharpens the focus on its single, key theme – the limits of human resistance to concentrated power. Like Season of Crimson Blossoms, Taduno’s Song is also a novel tinged with tragedy – but also like Season of Crimson Blossoms, its sensitive account of how an individual struggles against power prevents it from being overwhelmed by tragedy, even if the outcome seems foreordained. Other reviews: The Financial Times; Indirect Libre. Frank could have been a great banker, one of the greatest, if he hadn’t been born at the wrong time and with the wrong skin colour. His acumen with money, his softest of hearts, did not earn him a cushioned life in the South Africa of then and of now. There was a measured pride about him, though, a discreet pride in how he chose to love a world that showered him with doubt and disdain. For as long as I can remember, my father worked as a delivery man for Almond S. Spender Pharmaceuticals, criss-crossing Johannesburg’s avenues, responding to ailments of suburbs and, for extra income, weekend shifts transporting ‘Urgent Medical Samples’ for hospitals. It was from this – what he called life’s tragic pranks – that he managed to put me through school, that chinks appeared in his quiet pride, fissures that made his thoughts drift, prompting that heavy sigh and yearning: ‘I would have loved to fly aeroplanes, Michael.’ He later joined Harmony Gas & Fuels as a man who fought to be master of his life, but who instead helplessly watched as life and history drained all that was supposed to make life pleasurable, a drop at a time. 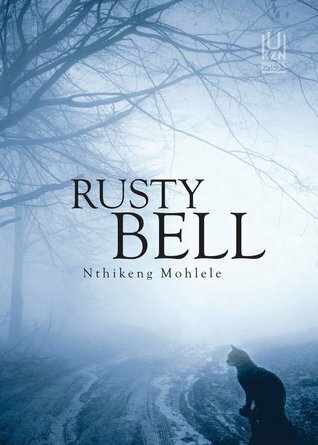 His was a life not lived, but leaked away, soundless, in the single-roomed tin shack we called home. This is beautiful writing. It is as though every word has been strained through a sieve. One of my favourite browsing grounds remains, unrepentantly, the garbage dump, or, to put it more elegantly – the flea market, especially of books. Those rows and jumbled stalls and trestles of broned, dog-eared second-hand books, pages frayed with age, evocative of contemplative, even escapist hours in the company of unknown faces, redolent of distant places and exotic adventures both of mind and body – such musty, unruly way stops have the edge, for me, even over the fragrance of newly-minted volumes on tidy rows of antiseptic shelves, with careful labelling under subject matter, author, geography etc. You never know what you will find in the flea market! To an Indian, this resonates, doesn’t it?